Am I showing a lack of faith if I take medication? 2 Kings 20:7 And Isaiah said, "Bring a cake of figs. And let them take and lay it on the boil, that he may recover." Jer 8:22 Is there no balm in Gilead? Is there no physician there? Why then has the health of the daughter of my people not been restored? Jer 51:8 Suddenly Babylon has fallen and been broken; wail for her! Take balm for her pain; perhaps she may be healed. Ezek 47:12 And on the banks, on both sides of the river, there will grow all kinds of trees for food. Their leaves will not wither nor their fruit fail, but they will bear fresh fruit every month, because the water for them flows from the sanctuary. Their fruit will be for food, and their leaves for healing." 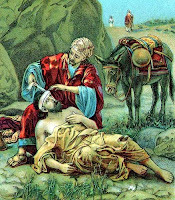 Lk 10:33-34 But a Samaritan, as he journeyed, came to where he was; and when he saw him, he had compassion, 34 and went to him and bound up his wounds, pouring on oil and wine; then he set him on his own beast and brought him to an inn, and took care of him. 1 Tim 5:23 No longer drink only water, but use a little wine for the sake of your stomach and your frequent ailments. The fact is, God can use the things of this world and the advances that man has made in science and medicine to heal us. It does not imply a lack of faith to take medicine anymore than it does to go to a doctor or a dentist. We also have the responsibility, as good stewards, to take care of our bodies and provide for their vitality. Taking medicine and going to the doctor is one way that we do that. The important thing is to keep the Lord involved as well. Pray to him daily for healing. Acknowledge the "Great Physician" working through the human physician. The amazing accomplishments that mankind has been able to achieve in science and medicine often lull us into thinking that we can do just fine without God. We must never forget that He is at work in all that is good. 1 Honor the physician with the honor due him, according to your need of him, for the Lord created him; 2 for healing comes from the Most High, and he will receive a gift from the king. 3 The skill of the physician lifts up his head, and in the presence of great men he is admired. 4 The Lord created medicines from the earth, and a sensible man will not despise them. 5 Was not water made sweet with a tree in order that his power might be known? 6 And he gave skill to men that he might be glorified in his marvelous works. 7 By them he heals and takes away pain; 8 the pharmacist makes of them a compound. His works will never be finished; and from him health is upon the face of the earth. 9 My son, when you are sick do not be negligent, but pray to the Lord, and he will heal you. 10 Give up your faults and direct your hands aright, and cleanse your heart from all sin. 11 Offer a sweet-smelling sacrifice, and a memorial portion of fine flour, and pour oil on your offering, as much as you can afford. 12 And give the physician his place, for the Lord created him; let him not leave you, for there is need of him. 13 There is a time when success lies in the hands of physicians, 14 for they too will pray to the Lord that he should grant them success in diagnosis and in healing, for the sake of preserving life. 15 He who sins before his Maker, may he fall into the care of a physician. Why does the Bible say that Jesus had brothers if Mary was a virgin her whole life? There are several verses in Scripture that refer to the “brothers” of Jesus (cf. Mt 12:46; 13:55-56; Mk 3:31; Lk 8:19; Jn 7:1-10; Acts 1:14; Gal 1:19). However, it is not necessary to believe that these “brothers” were actually His siblings. Remember, the New Testament was written in Greek. The Greek word for “brother” in these verses is adelphos. This word can mean “sibling,” but it is also used in Scripture to refer to those of the same nationality; any man, or neighbor; persons with like interests; distant descendants of the same parents; persons united by a common calling; mankind; the disciples; and all believers. Considering the broad meaning of the word, we can just as easily say that the “brothers” of Jesus were not Jesus’ siblings but instead were related to Him in some other way. Scripture tells us that at least four of them – James, Joseph, Simon, and Judas – were actually Jesus’ cousins, since their mother was Mary’s sister (cf. 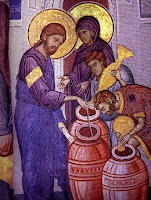 Mt 27:56,61; 28:1; Mk 15:47; Jn 19:25). That fact alone is reason to give us pause, instead of jumping to the conclusion that every brother of Jesus mention in the NT is an actual sibling of Jesus. The customs of the day are helpful here as well. For one, Jesus was the first born of the family, so these brothers would be younger than Him. In Jn 7:1-10 we see them giving Jesus orders and practically reprimanding Him. Yet, in Jesus' day, no younger brother would dare speak to the eldest the way these brothers speak to Jesus. Also, it was Jewish custom for the eldest son to take care of his mother once his father died. Once the eldest son died, this responsibility fell on the next son, and so on. Yet, Jesus gave his mother to the Apostle John, not to any of His brothers (cf. Jn 19:26-27). Furthermore, there are a couple of places where one would expect to see these siblings of Jesus, but they are conspicuously absent. For example, if Jesus had siblings, where were they when Mary and Joseph lost Jesus on the way back from celebrating the Passover in Jerusalem? These siblings certainly would have been traveling with them. Yet, there is no mention of them at all in the account of what happened. Note also that, when Mary and Joseph realized that Jesus was gone, they didn’t go to his supposed siblings, which would have been the logical thing to do. Instead, they looked among their “kinfolk and acquaintances” (Lk 2:44). Where were the siblings of Jesus at the wedding feast at Cana? Mary was invited, Jesus was invited, even Jesus' followers were invited, but we don't read of any invitation for His siblings, for "Jesus and His brothers" or anything like that (cf. Jn 2:1-2). Were they just snubbed? Highly unlikely. Marriages were a whole community affair. Everyone in town would celebrate. The most plausible explanation for why the siblings of Jesus weren't invited is because they did not exist. 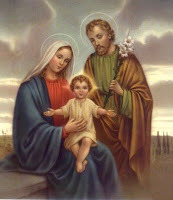 Why, if Jesus had other siblings, is He referred to in Scripture as "the" son of Joseph and Mary, instead of "a" son (cf. Mk 6:3; Jn 1:45; 6:42). Maybe there's nothing there, but it seems to me that if Mary had multiple sons, "a son" would have been the more appropriate phrase. So, we can see from the underlying Greek, from the customs of the day, and from other peculiarities in Scripture, that it's quite reasonable to conclude that Mary did not have other children. We even have reason to believe that she never intended to. How else do we explain the confusion that Mary expressed when the angel told her she would conceive and bear a son? From Lk 1:34, "How shall this be, seeing I know not a man" (KJV), "since I have no relations with a man" (NABRE). If she intended to have children, there would be no confusion. She would have just assumed that once she entered into Joseph's house, they would have marital relations and she would conceive a son. But, she's confused. She doesn't understand how this can happen. All of this explains why Catholics have nothing to fear when they read of the “brothers of Jesus” in Scripture. In Mass recently, I noticed that some people bow during the Creed. Why do they do that? Well, the first reason is because that is what we are supposed to do. You begin the bow at the words “by the power ...” and rise once you have said “became man.” Note that a “profound bow” is a bow at the waist, in the manner of the Japanese when they greet people. This is more demonstrative then the simple head nod. The reason the GIRM calls us to bow at that point in the Creed is because it is at that point when we express our belief in the most fundamental mystery of Christianity: That in Jesus Christ, God actually became man, born of a woman by the power of the Holy Spirit. This is the Incarnation, the most sacred moment in all of human history. Therefore, we bow in honor of that event. In the Mass, our gestures and postures should always reflect what we believe at each moment in the Mass. Since the Incarnation is so central to what we believe as Christians, the profound bow becomes an important way of outwardly expressing that belief. Check out this video by the youth group at Our Lady of Lourdes Catholic Church in Owensboro, KY. Danny May, the Director of Youth Ministry, just made me cry with this thing .... which means I hate him now. Danny and my brother Drew, who is the DRE at Lourdes, do a weekly podcast called Tuesday Mornings that you might be interested in as well. T or F? : Because Baptism & Confirmation are not celebrated at the same time, the connection of the two sacraments is expressed by the renewal of baptismal vows. TRUE, cf. CCC no. 1321: When Confirmation is celebrated separately from Baptism, its connection with Baptism is expressed, among other ways, by the renewal of baptismal promises. The celebration of Confirmation during the Eucharist helps underline the unity of the sacraments of Christian initiation. In other words, the purpose of the renewal of baptism vows during the Rite of Confirmation is to emphasize the connection or continuity between Confirmation and Baptism. This is a necessary point of emphasis, considering that, in most cases, Confirmation takes place several years after one is baptized. 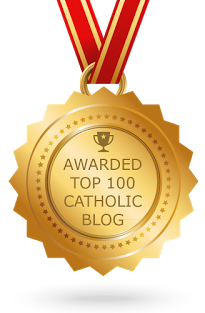 For more information on why this separation has taken place in the Latin Rite, and for arguments in defense of celebrating Confirmation at an earlier age, see Sacrament of Confirmation: What Is It All About?, by Tom Sullivan.